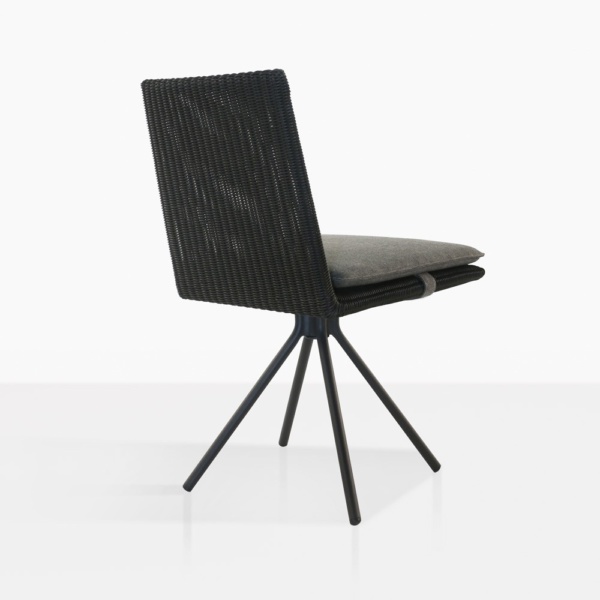 Invigorate your outdoor area with a unique dining chair that is stylish, bold and contemporary. Incorporating state of the art technology, excellent materials and audacious style is what we do best – and so may we present to you the extraordinary Loop Outdoor Swivel Dining Chair in chic Charcoal. A highly contemporary look is fulfilled in this excellently designed outdoor dining chair. 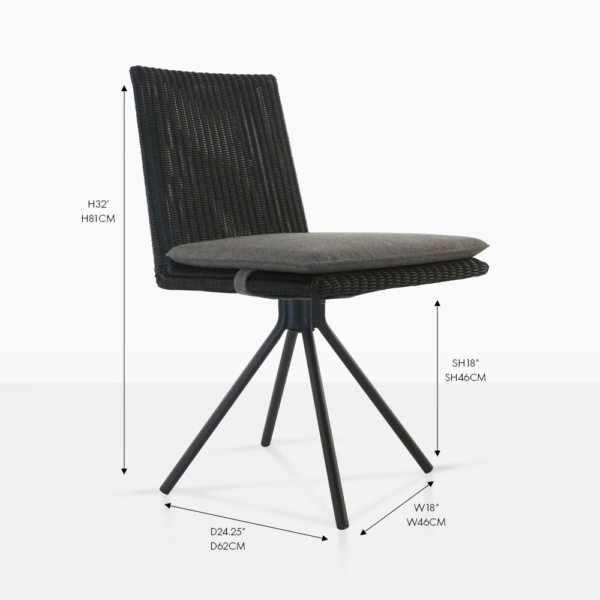 The Loop Dining Chair has many qualities, and individual is one of them! 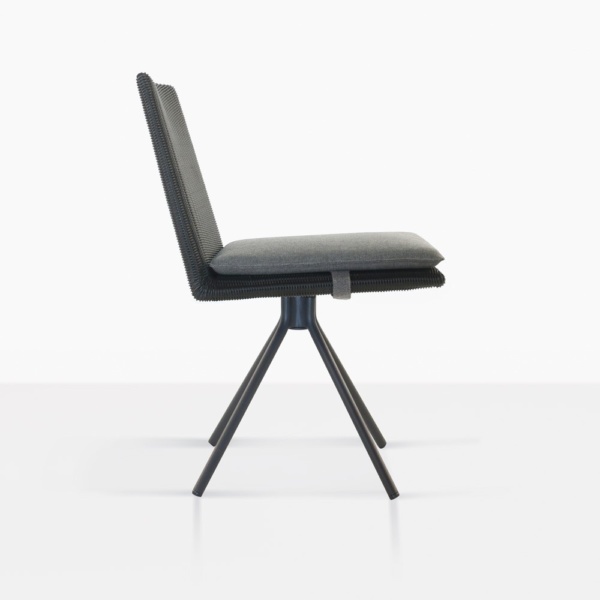 A sleek, sophisticated shape is complemented by 4 charmingly flared legs which assist in the swivel utility of the Loop Chair. W18" x D24.25" x H32"
Perhaps you have a big rustic table in a setting that you wish to invite a sense of modern appeal to? Surround your big country dinner table with the Loop Swivel Dining Chair and enjoy the gloriously contemporary and communal setting you have accomplished. If your beachfront property is in need of a serious upgrade, then try the Loop Charcoal Swivel Chairs around one of our fabulous concrete tables for an assured, modern and stylish setting for you and your guests. This dining chair is part of the Loop series, which also features a counter height and barstool, with all options being available in charcoal and mud grey. So you can define your space, based on what you need. 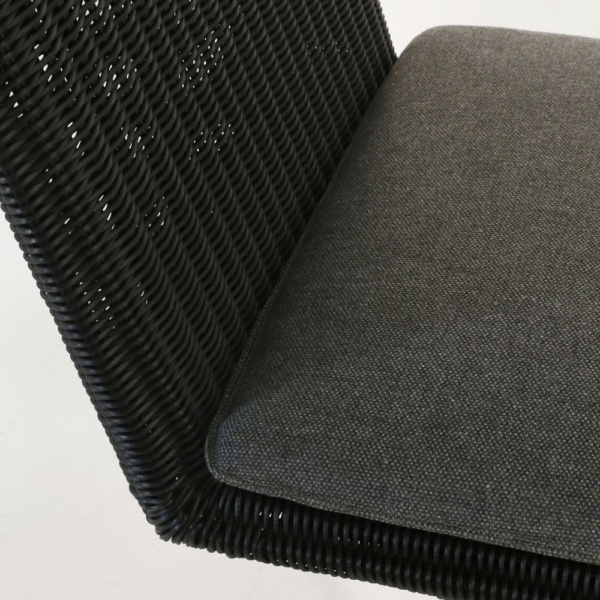 The Loop Swivel Outdoor Dining Chair in black wicker has a bold look that is modern and fresh. The swivel function adds a casual feel and makes dining with a large group of friends a little easier. The base is made with powder coated steel and the seat is beautifully woven outdoor wicker. The Look Dining Chair comes with a removable Sunbrella® cushion for added comfort. Visit the rest of our extensive site, or come and see us in store to uncover the most amazing outdoor furniture on show! Get ready for outdoor luxury and purchase your Loop Outdoor Swivel Dining Chair in Charcoal today!